Of all the classic films set in Ireland or about Ireland and it’s people, there’s only one I consider absolutely perfect for lighthearted St. Patrick’s Day viewing. It boasts all the elements essential to movie perfection: stunning technicolor, a matchless cast of the best character actors of the time, a musical score guaranteed to get your toes tapping and an endearing love story. Yes, that’s right – The Quiet Man. I had no choice, and so I agreed, but with a catch: “I’ll say it on one condition; that it is never ever repeated or revealed to anyone.” So we made a deal. After the scene was over, we told Duke about our agreement and the three of us made a pact. There are those who claim that they were told and know what I said. They don’t and are lying. John Ford took it to his grave, so did Duke and the answer will die with me. Though the movie fan in me is saddened at the thought this piece of history will never be revealed, I love Maureen for preserving this memory and keeping the secret. Her devotion to her friends and the times they shared making the film touches my heart. And if I were one of the people who knew magic phrase to make John Wayne’s head snap, I wouldn’t tell either. 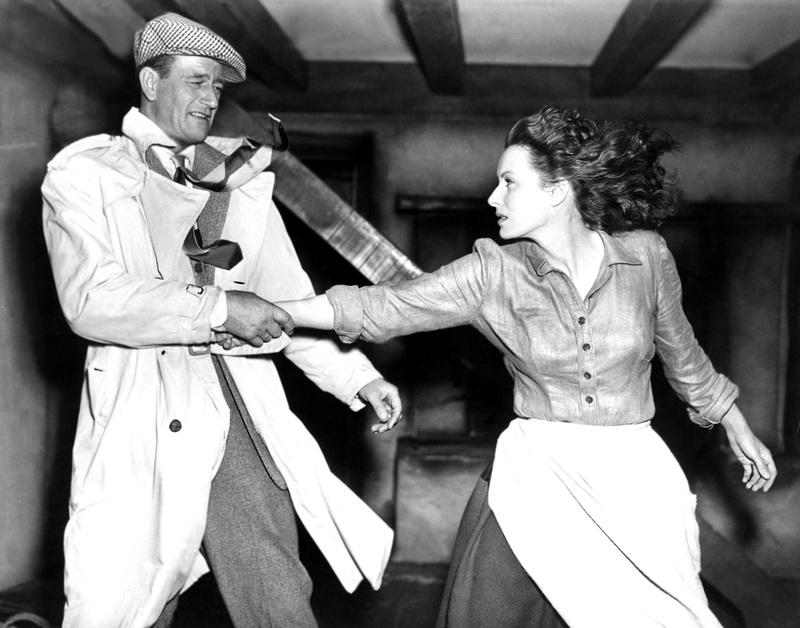 The Quiet Man is one of my favorite films, not just to watch for St. Patrick’s Day, but for all time. The teaming of Maureen and John Wayne is one of the few on screen castings that actually deserves the title of “electric.” Since TCM decided to give The Quiet Man a miss for the lineup today, head over to YouTube, where a very kind soul has uploaded the film in its entirety. BRILLIANTLY LOVELY POST! There’s nothing like The Quiet Man on St. Patrick’s Day! My family watches it every year. Love this movie. She was a class act. Lovely post. What an admirable cause! Of course I’d like to help! I don’t have a Facebook page myself but will be happy to tweet the link to my followers and help get the word out. The photograph I linked to is one of Doctor Macro’s scans (link to source page here). You can email them (here) and ask if they would mind you using it. Thank you Casey! That is just hugely helpful! You always share the best classic films with us. Thank you for that.